Windsor is not the first city to go against the advice of the fluoridation lobby. But it is one of the first Ontario cities to have council vote to end the policy after 51 years. The decision is getting noticed and is being talked about outside our community. Some of the coverage has been ‘pro-industrial waste fluoridation chemicals as solutions to tooth decay’; this coverage is predictably most often from the editors of newspapers. However, some journalists are trying to understand Windsor’s decision. This entry was posted on February 26, 2013, 5:00 am and is filed under Uncategorized. You can follow any responses to this entry through RSS 2.0. You can leave a response, or trackback from your own site. Congratulations on ruining the dental health of thousands who are uninsured and cannot afford dental care. Your success means that thousands of children will suffer needlessly. You must be so proud. Apparently you are unaware of the fluoridation cessation literature which proves adding hazardous waste fluoridation chemicals to our drinking water supply is unnecessary (see the most recent post on our website). Also, you seem to have missed the fact that dental decay rates in non-fluoridated communities isn’t that much different than those in fluoridated communities. According to public health statistics, non-fluoridated Niagara Region has better decay rates than nearly all the fluoridated communities in Ontario and regardless of fluoridation the difference in dental decay is less than one cavity. According to Stats Canada data barely fluoridated Quebec has similar dental decay as heavily fluoridated Ontario and non-fluoridated Vancouver has better dental decay rates than fluoridated Toronto. Why expose every cell in our body to a hazardous waste chemical when there is no benefit? Though you do bring up a very real concern, that dental health care is so inaccessible to many. You should consider directing your aggression and attention to the dental professional community and public health – ask them why the services of care from a professional aren’t available to all? Ask them why they propose adding the lowest and cheapest grade fluoridation product be added to the drinking water of everyone instead of addressing the needs of the population that can’t afford proper care? 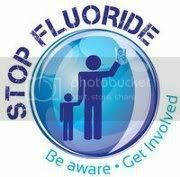 Thank you for taking the time to contact Fluoride Free Windsor. Toronto City Council: Stop adding fluoride to our water now!